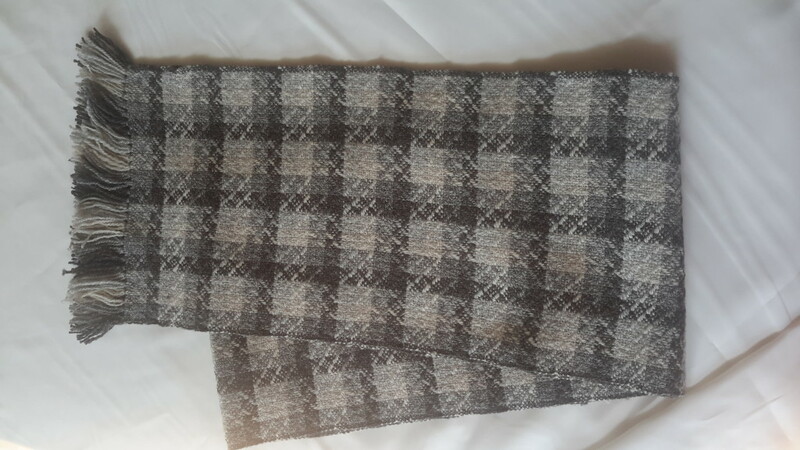 Handwoven scarf made from our own rare CVM/Romeldale wool and blended with silk! 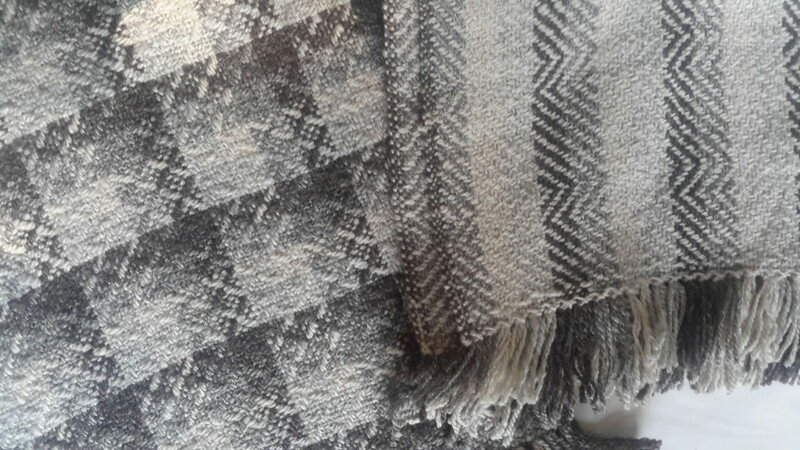 Experience the elegance of this handwoven scarf made from our own rare CVM/Romeldale wool and blended with silk! Exquisitely soft, with lovely drape and the beautiful natural colors of the sheep. They were designed at 10′ x 72″. Once woven they are a bit smaller, depending upon the pattern. 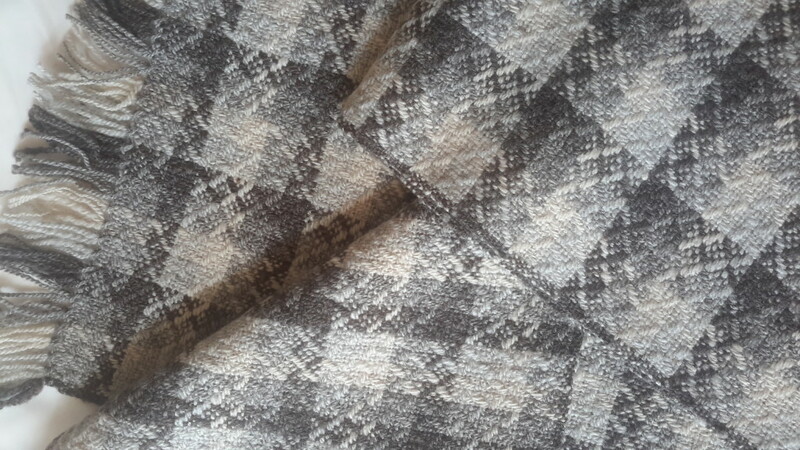 This is common with very fine, soft wools. The added silk gives them luster and drape.